We left Coventry for the third week’s journey. This time we headed West, to Wales with its forests and lakes! On our way to Wales we first stopped near Malvern to visit two conventionally managed farms. Alfréd had previously met the farmers Tom Norbury and Nick Wenden during his visit to Moseley’s Farmers’ Market in Birmingham. The farmers’ market is a colourful event full of delicious local food taking place once a month on a Saturday. We visited Tom first passing by his orchards and fields before we interviewed him in his farmshop. 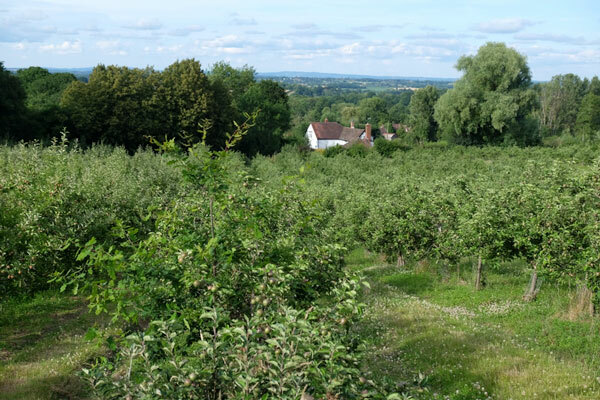 Tom produces both cereals and fruits including processed products, such as jam, juice and cider. Before leaving we bought a few bottles of an amazing pear cider and apple cider we can really recommend trying! As it turned out, the farm of our next appointment with Nick Wenden was right next to Tom’s. We felt very welcome, did the interview first, then Nick took as around to view the orchards with his Kubota truck. 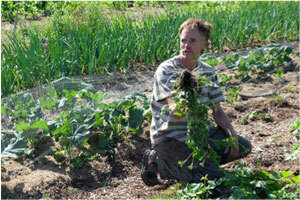 Nick produces vegetables and fruits on his farm and sells as much as possible directly at farmers’ markets. We enjoyed an awesome landscape from the highest point of the orchard on the back of the truck. At the end of an intense, but successful day we had already gathered data of the third conventional farm, steadily making progress with our project and being very happy to eventually arrive at our hotel in Worcester in the evening. 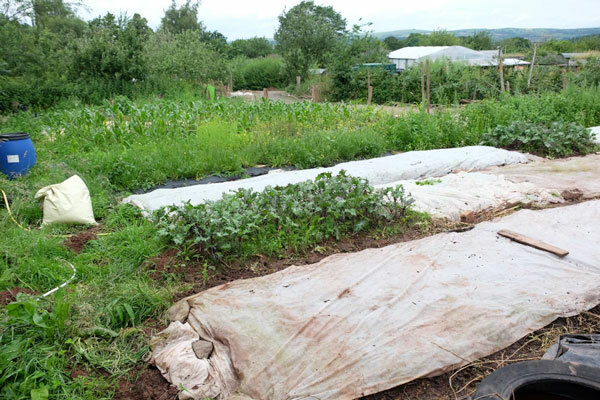 We visited Primrose Farm a fascinating permaculture project near Brecon. Here they produce a wide range of vegetables, salads and fruits, mainly soft fruits. We had time to explore the farm, which is only a few acres in size, but seemed to us like a world for insects, bees and wildlife with many different things to see. We explored the market garden, approx. 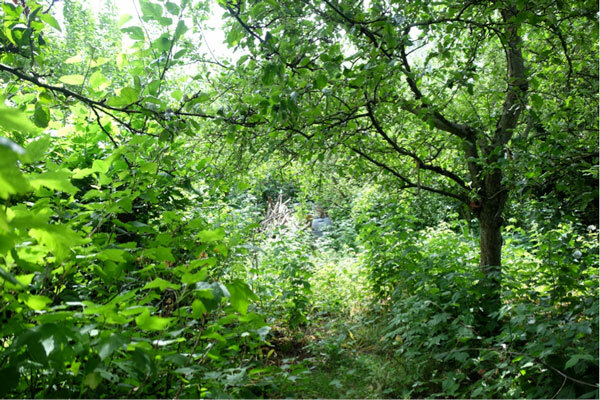 one acre in size and hard to describe or categorise, a polyculture with polytunnels, a wide range of veggies, spices, herbs grown inside and outside of the polytunnels, rows of fruit trees and big soft fruit bushes, an integration of all including a beautiful pond for wildlife and a bigger patch of forest garden, where they are growing wild garlic, soft fruits, and top fruits. Slugs were being managed by a couple of runner ducks. 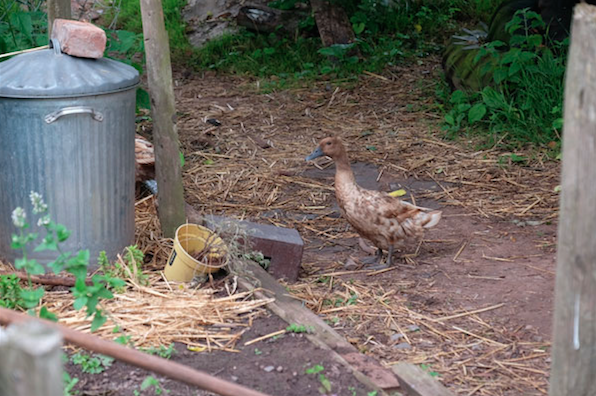 Slug management the permaculture way at Primrose Farm introducing runner ducks to the system. 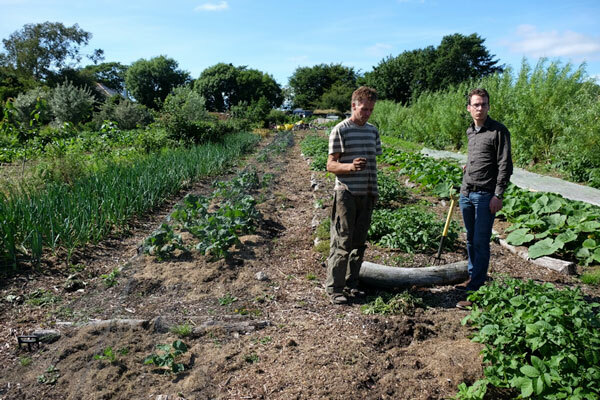 From Primrose Farm we headed towards Swansea to visit the next permaculture project, Ed Rewill’s biochar alley cropping system. We were invited to stay overnight at Ed’s in a rounded, strawbale house and did the assessment the next day. We got up early in the morning and walked down to the sea to get some exercise. After breakfast Ed introduced his, in some ways, revolutionary system of farming. Ed is an enthusiastic and at the same time innovative farmer. 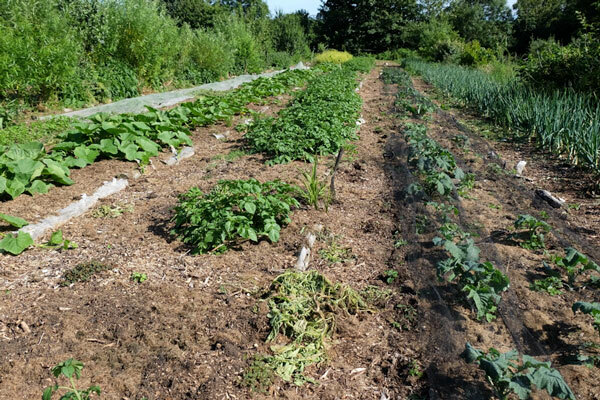 He is very conscious about climate change, carbon sequestration and soil organic matter formation; and biochar is central to his soil management. He has created a closed loop system. His alleys of willows produce woodchips, which go into a special stove for producing the biochar whilst using the extra energy to heat his house and for cooking. 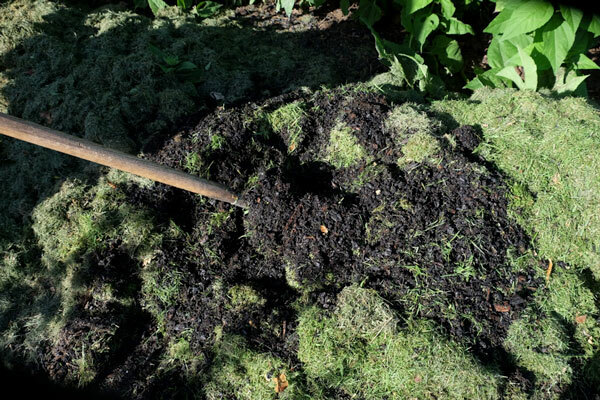 The charcoal then goes to the soil to boost fertility. Ed believes that with this technique he could solve issues of climate change, energy provision and soil fertility at the same time. Alley cropping on a small-scale market garden. The key of Ed’s farming system is biochar and a lot of consciousness about nutrient flows and potential soil compaction. After completing the assessment with Ed we headed towards Aberystwyth to visit an organic poultry farm. It was a fantastic experience to see how chickens are reared freely on a bigger scale and under organic standards. The farmer wished to stay anonymous, therefore we cannot share more information about their system. We stayed overnight in Rhayadar on the doorstep to Elan Valley, which is famous for its beauty. A series of reservoirs provides Birmingham with potable water. An early rise gave us the chance to briefly explore the valley and take some amazing landscape pictures before heading to see the last farm of our Welsh tour a beautiful permaculture farm in Monmouthshire. The farmer wishes to stay anonymous for now. One of Elan Valley’s water reservoirs. Our assessment journey ended here and we drove back to Coventry arriving late in the evening, exhausted but satisfied with the progress we had made. Next time Alfred will expore the last series of farms as part of our research project. He will travel down south near Plymouth. Please stay tuned with our post on the last part of the data gathering endeavour!